In addition to being regulated by the Fair Debt Collection Practices Act (FDCPA), Indiana collection agencies are also regulated by Indiana debt collection laws. Discover: Indiana collection requirements, bad check laws (NSF), statutes of limitations for both debts and judgments, garnishments plus Indiana collection agency license and bonding information. Exemption for out-of-state collectors: Out-of-state collectors are exempt from licensing if  collecting for a nonresident creditor; and  collection activities limited to interstate communications |phone, fax, mail|. (a) The term “person” means any individual, firm, partnership, limited liability company, or corporation. (b) The term “collection agency” means and includes all persons engaging directly or indirectly and as a primary or secondary object, business, or pursuit, in soliciting claims for collection, or in the collection of claims owed or due or asserted to be owed or due to another, including child support arrearages under IC 31-25-4. The term “collection agency” also means and includes, but shall not be limited to, any person who sells, furnishes, or maintains a letter or written demand service, including stickers or coupon books, designed for the purpose of making demand on any debtor on behalf of any creditor for the payment of any claim wherein the person furnishing or maintaining such letter or written demand service, including stickers or coupon books, shall sell such services for a stated amount or for a percentage of money collected whether paid to the creditor or to the collection agency, or where such services may be rendered as a part of a membership in such collection agency regardless of whether or not a separate fee or percentage is charged. The term “collection agency” shall also include, but not be limited to, any individual, firm, partnership, limited liability company, or corporation who uses a fictitious name, or any name other than the individual’s or entity’s name, in the collection of accounts receivable with the intention of conveying to the debtor that a third person has been employed. (c) The term “claim” means any obligation for the payment of money or its equivalent and any sum or sums owed or due or asserted to be owed or due to another, for which any person may be employed to demand payment and to collect or enforce payment thereof. The term “claim” also includes obligations for the payment of money in the form of conditional sales agreements, notwithstanding that the personal property sold thereunder, for which payment is claimed, may be or is repossessed in lieu of payment. (Formerly: Acts 1937, c.92, s.1; Acts 1955, c.304, s.1.) As amended by Acts 1982, P.L.154, SEC.40; P.L.8-1993, SEC.375; P.L.178-1996, SEC.1; P.L.234-2005, SEC.80; P.L.145-2006, SEC.159. (b) Persons regularly employed on a regular wage or salary in the capacity of credit men or in a similar capacity except as an independent contractor. (c) Banks, including trust departments, fiduciaries, and financial institutions including licensees under IC 24-4.5 and licensees under IC 28-5-1. (d) Licensed real estate brokers. (e) Employees of licensees under this chapter. (f) Any person, firm, partnership, limited liability company, or corporation engaged in any business enterprise in the state whose primary object, business, or pursuit is not the collection of claims, as the term is defined by the provisions of this chapter. (g) Any electric, gas, water and telephone public utilities, their respective employees, agents, representative agents, representatives, and individual contractors. (h) Any express company regulated under IC 8-2.1 or IC 8-3. (Formerly: Acts 1937, c.92, s.2; Acts 1955, c.304, s.2.) As amended by Acts 1977, P.L.272, SEC.1; P.L.23-1988, SEC.113; P.L.99-1989, SEC.31; P.L.3-1989, SEC.145; P.L.8-1993, SEC.376. (D) a statement that the individual satisfies the qualifications set forth in section 4 of this chapter. (E) a statement that each partner in the partnership satisfies the qualifications set forth in section 4 of this chapter. the limited liability company satisfies the qualifications set forth in section 4 of this chapter. (E) a statement that each of the officers of the corporation satisfies the qualifications set forth in section 4 of this chapter. The application shall be duly sworn to before an officer qualified to administer oaths. The application shall set forth therein any other verified information which will assist the secretary of state in determining the qualifications of the applicant to meet the requirements of a collection agency as hereinunder set forth. (b) Every original and renewal application of any person desiring to conduct a collection agency shall be accompanied by a fee of one hundred dollars ($100) plus an additional fee of thirty dollars ($30) for each branch office operated by the applicant whether as sole owner, partnership, limited liability company, or corporation. (c) Any person desiring to secure a renewal of a collection agency license shall make a renewal application to the secretary of state not later than January 1 of the year following the year in which the person’s license expires under section 5 of this chapter. The application shall be made on such forms as the secretary of state may prescribe. Such application shall contain therein verified information that will assist the secretary of state in determining whether or not the applicant is in default, or is in violation of any of the provisions of this chapter, and whether or not the applicant has at all times complied with the requirements of this chapter in the operation of the applicant’s collection agency. (d) Each renewal application shall be accompanied by the renewal fee and an additional fee of thirty dollars ($30) for each branch office maintained and operated by the applicant. (1) A corporate surety bond in the sum of five thousand dollars ($5,000) for each office the applicant operates in the state of Indiana. All bonds shall run to the people of the state of Indiana and shall be furnished by a surety company authorized to do business in this state. All bonds shall be conditioned upon the faithful accounting of all money collected upon accounts entrusted to such person and shall be continuous in form and shall remain in full force and effect and run continuously with the license period and any renewal thereof. All bonds shall further be conditioned upon the provision that the applicant shall, within sixty (60) days from the date of the collection of any claim, render an account of and pay to the client, for whom collection has been made, the proceeds of such collection less the charges for collection agreed upon by and between the applicant and the client. All bonds shall be filed in the office of the secretary of state and shall be approved by the secretary of state before being filed. All bonds filed and approved shall be for the use and benefit of all persons damaged by the wrongful conversion of any money by such person, and any individual so injured or aggrieved may bring an action upon such bond. The surety company may notify the secretary of state and principal of its desire to terminate its liability under any bond furnished. Thirty (30) days after receipt of such notice by the secretary of state, the secretary of state shall thereupon require the principal to file a new bond or discontinue all operations. If a new bond is filed by the principal all liability under any previous bond shall thereupon cease and terminate. If a new bond shall not be filed within the thirty (30) day period above specified the secretary of state shall, after expiration of the period, revoke the principal’s license. (2) Any applicant who is a nonresident of the state of Indiana shall also submit a statement appointing an agent or attorney resident herein, upon whom all legal process against the applicant may be served. The statement shall contain a stipulation that the applicant agrees that service of legal process upon such agent or attorney shall be valid service upon the applicant. (Formerly: Acts 1937, c.92, s.3; Acts 1955, c.304, s.3.) As amended by Acts 1978, P.L.12, SEC.8; P.L.8-1993, SEC.377; P.L.178-1996, SEC.2. (1) The applicant must be a citizen of the United States, of good moral character, and not less than eighteen (18) years of age. (2) The applicant must not have a record as a defaulter in the payment of money collected or received for another. (3) The applicant must not be a former licensee under this chapter whose license has been suspended or revoked and not subsequently reinstated under this chapter. An applicant to whom a license is to be issued must meet the bonding requirements of section 3(e) of this chapter. (Formerly: Acts 1937, c.92, s.4; Acts 1955, c.304, s.4; Acts 1973, P.L.252, SEC.7.) As amended by Acts 1978, P.L.2, SEC.2525; P.L.8-1993, SEC.378; P.L.178-1996, SEC.3. Sec. 5. (a) The secretary of state shall investigate the qualifications of the applicant and if the applicant meets the qualifications of this chapter the secretary of state shall approve the application. If the application is approved the license shall be issued forthwith to the applicant. All licenses are valid for two (2) years and shall expire on the thirty-first day of December of the year following the year in which the license was issued. If the application for a license is denied, the application fees shall be retained by the secretary of state. (3) the application is accompanied by the fees and financial bonding requirements as provided in this chapter. (1) A provisional license issued to a personal representative or a personal representative’s appointee expires one (1) year from the date of the issuance and shall not be subject to renewal. The authority of the provisional license so issued shall be limited to such activities as may be necessary to terminate the business of the former licensee. (2) All other provisional licenses expire three (3) months from the date of issuance unless the provisional licensee, within this period, can meet the requirements for a full license as provided in this chapter. (d) A nonresident collection agency that has only incidental contact with a debtor is not required to be licensed under this chapter. As used in this subsection, “incidental contact” means contact on behalf of nonresident creditors using interstate communications, including telephone, mail service, or facsimile transmissions. Sec. 6. The secretary of state shall keep in the secretary of state’s office a record of all applications for licenses and all bonds required to be filed, including a statement as to whether a license, renewal license, or provisional license has been issued under each application and bond, and if revoked or suspended, the date of the filing of the order of revocation or suspension. The secretary of state shall maintain a list of all individuals, firms, partnerships, limited liability companies, or corporations who have had their license revoked or suspended, and the secretary of state shall keep a written record of all complaints filed against any licensee. Each license issued shall contain the name and address of the licensee and a serial number. The record shall be open to inspection as public records. (Formerly: Acts 1937, c.92, s.6; Acts 1955, c.304, s.6.) As amended by P.L.8-1993, SEC.380; P.L.178-1996, SEC.5. Sec. 7. (a) It is unlawful for any person to conduct, within this state, a collection agency without first having applied for and obtained a license under the provisions of this chapter. (b) It is unlawful for any person conducting a collection agency within this state to fail to render an account of and pay to the client, for whom collection has been made, the proceeds of such collection, less the charges for collection in accordance with the terms of agreement between the applicant and client. This account shall be made within sixty (60) days from the date of the collection of any claim. (c) It is unlawful for any person conducting a collection agency, within this state, to fail to deposit with a local depository not less than one (1) time each week all money due and owing to clients collected by said person, and keep the same on deposit in such depository in a special account until remitted to the clients. It shall be unlawful for any person to fail to keep a record of the money collected and the remittance thereof. (Formerly: Acts 1937, c.92, s.7; Acts 1955, c.304, s.7.) As amended by Acts 1982, P.L.154, SEC.42; P.L.178-1996, SEC.6. Sec. 8. The secretary of state shall adopt and enforce such rules and regulations, not in conflict with the provisions of this chapter, as are advisable or necessary to carry out the provisions of this chapter. All money collected under the provisions of this chapter shall be deposited by the treasurer of state into the general fund of the state. (Formerly: Acts 1937, c.92, s.8; Acts 1955, c.304, s.8.) As amended by Acts 1982, P.L.154, SEC.43; P.L.178-1996, SEC.7. Sec. 9. (a) Upon the filing with the secretary of state, by any interested person, of a verified written complaint which charges any licensee hereunder with a specific violation of any of the provisions of this chapter, the secretary of state shall cause an investigation of the complaint to be made. If the investigation shows probable cause for the revocation or suspension of the license, the secretary of state shall send a written notice to such licensee, stating in such notice the alleged grounds for the revocation or suspension and fixing a time and place for the hearing thereof. The hearing shall be held not less than five (5) days nor more than twenty (20) days from the time of the mailing of the notice, unless the parties consent otherwise. The secretary of state may subpoena witnesses, books, and records and may administer oaths. The licensee may appear and defend against such charges in person or by counsel. If upon such hearing the secretary of state finds the charges to be true, the secretary of state shall either revoke or suspend the license of the licensee. Suspension shall be for a time certain and in no event for a longer period than one (1) year. No license shall be issued to any person whose license has been revoked for a period of two (2) years from the date of revocation. Reapplication for a license, after revocation as provided, shall be made in the same manner as provided in this chapter for an original application for a license. (b) Whenever it appears to the secretary of state that a person has engaged in or is about to engage in an act or practice constituting a violation of this chapter or a rule or order under this chapter, the secretary of state may investigate and may issue, with or without a prior hearing, orders and notices as the secretary of state determines to be in the public interest, including cease and desist orders, orders to show cause, and notices. After notice and hearing, the secretary of state may enter an order of rescission, restitution, or disgorgement, including interest at the rate of eight percent (8%) per year, directed to a person who has violated this chapter or a rule or order under this chapter. In addition to all other remedies, the secretary of state may bring an action in the name of and on behalf of the state against the person and any other person participating in or about to participate in a violation of this chapter, to enjoin the person from continuing or doing an act furthering a violation of this chapter and may obtain the appointment of a receiver or conservator. Upon a proper showing by the secretary of state, the court shall enter an order of the secretary of state directing rescission, restitution, or disgorgement to a person who has violated this chapter or a rule or order under this chapter. (1) That the order or notice has been issued. (2) The reasons the order or notice has been issued. set for a hearing to commence not less than five (5) days and not more than twenty (20) days after the secretary of state receives the request, unless the parties consent otherwise. If the respondent does not request a hearing and the secretary of state does not order a hearing, the order or notice will remain in effect until it is modified or vacated by the secretary of state. If a hearing is requested or ordered, the secretary of state, after giving notice of the hearing, may modify or vacate the order or extend it until final determination. (d) In a proceeding in a circuit or superior court under this section, the secretary of state is entitled to recover all costs and expenses of investigation to which the secretary of state would be entitled in an administrative proceeding under IC 23-2-1-16(d), and the court shall include the costs in its final judgment. (e) For the purpose of any investigation or proceeding under this chapter, the secretary of state may administer oaths and affirmations, subpoena witnesses, compel their attendance, take evidence, and require the production of any books, papers, correspondence, memoranda, agreements, or other documents or records that the secretary of state considers material to the inquiry. (2) made returnable to the secretary of state. (g) If any person fails to obey a subpoena, the circuit or superior court, upon application by the secretary of state, may issue to the person an order requiring the person to appear before the secretary of state to produce documentary evidence, if so ordered, or to give evidence concerning the matter under investigation. in obedience to a subpoena of the secretary of state, or in any proceeding instituted by the secretary of state, on the grounds that the testimony or evidence, documentary or otherwise, required of the person may tend to incriminate the person or subject the person to a penalty or forfeiture. However, a person may not be prosecuted or subjected to any penalty or forfeiture for or on account of any transaction, matter, or thing about which the person is compelled, after validly claiming the person’s privilege against self-incrimination, to testify or produce evidence, documentary or otherwise. (Formerly: Acts 1937, c.92, s.9; Acts 1955, c.304, s.9.) As amended by Acts 1982, P.L.154, SEC.44; P.L.178-1996, SEC.8; P.L.230-2007, SEC.21. Sec. 10. Any decision of the secretary of state revoking, suspending, or refusing to issue a license may be appealed to the circuit or superior court of Marion County or to the circuit or superior court of the county in which the licensee operates the alleged offending collection agency, for a trial de novo, and any judgment of the court may be appealed therefrom to the supreme court or the court of appeals, in the same manner as in civil cases, by either of the parties to the action. (Formerly: Acts 1937, c.92, s.10; Acts 1955, c.304, s.10.) As amended by P.L.3-1989, SEC.146. Sec. 11. No license to operate a collection agency shall be issued under the provisions of this chapter to any judge, either appointed or elected, of any court of this state, nor shall any license be issued to any full-time elected or appointed law enforcement officer or any full-time deputy appointed by any law enforcement officer. It shall be unlawful for any judge of any court of this state and any full-time law enforcement officer or full-time deputy of such officer to operate a collection agency or to engage in the business of soliciting or collecting claims. It shall be unlawful for any special or part-time deputy appointed by any law enforcement officer to use the credentials and the authority of his office for the purpose of enforcing the collection of any claim. (Formerly: Acts 1937, c.92, s.11; Acts 1955, c.304, s.11.) As amended by Acts 1982, P.L.154, SEC.45. Sec. 12. (a) A person who violates this chapter commits a Class B misdemeanor. (b) The prosecuting attorney of any judicial circuit upon the complaint of the secretary of state, shall prosecute all violations of this chapter occurring within his jurisdiction. (Formerly: Acts 1937, c.92, s.12; Acts 1955, c.304, s.12.) As amended by Acts 1978, P.L.2, SEC.2526. (B) advance court costs for the filing of an action to collect a debt. (2) assigned claims against joint debtors. (c) An action in which claims are consolidated under subsection (b) must be filed in the county of preferred venue as to all alleged debtors for the action as set forth in Rule 75 of the Indiana Rules of Trial Procedure. (2) the assignee to reimburse the person or persons against whom the action is filed for attorney’s fees necessitated for correction of the preferred venue. As added by P.L.154-1988, SEC.1. (2) any other designee under the supervision and control of the secretary of state. As added by P.L.230-2007, SEC.22. Sec. 15. (a) If the secretary of state determines, after notice and opportunity for a hearing, that a person has violated this chapter, the secretary of state may, in addition to or instead of all other remedies, impose a civil penalty upon the person in an amount not to exceed ten thousand dollars ($10,000) for each violation. An appeal from the decision of the secretary of state imposing a civil penalty under this subsection may be taken by an aggrieved party under section 16 of this chapter. (b) The secretary of state may bring an action in the circuit or superior court of Marion County to enforce payment of any penalty imposed under subsection (a). (c) Penalties collected under this section shall be deposited in the securities division enforcement account established under IC 23-2-1-15(c). As added by P.L.230-2007, SEC.23. (1) By an applicant for a license under this chapter, from a final order of the secretary of state concerning the application. (2) By a licensee, from a final order of the secretary of state affecting the licensee’s license under this chapter. (3) By any person against whom a civil penalty is imposed under section 15 of this chapter, from the final order of the secretary of state imposing the civil penalty. 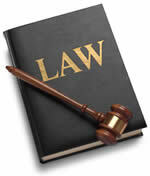 (B) the circuit or superior court of the county in which the appellant resides or maintains a place of business. (B) the grounds on which a reversal of the secretary of state’s final order is sought. concerning the order from which the appeal is being taken. (B) the payment of all costs that are adjudged against the appellant. (c) Not later than ten (10) days after the secretary of state is served with the items described in subsection (b), the secretary of state shall make, certify, and deliver to the appellant the transcript described in subsection (b)(2)(A). Not later than five (5) days after the appellant receives the transcript under this subsection, the appellant shall file the transcript and a copy of the notice of appeal with the clerk of the court. The notice of appeal serves as the appellant’s complaint. The secretary of state may appear before the court, file any motion or pleading in the matter, and form the issue. The cause shall be entered on the court’s calendar to be heard de novo and shall be given precedence over all matters pending in the court. which the appeal is taken. If the order of the secretary of state is reversed, the court shall in its mandate specifically direct the secretary of state as to the secretary of state’s further action in the matter. The secretary of state is not barred from revoking or altering the order for any proper cause that accrues or is discovered after the order is entered. If the order is affirmed, the appellant may, after thirty (30) days from the date the order is affirmed, file a new application for a license under this chapter if the application is not otherwise barred or limited. During the pendency of the appeal, the order from which the appeal is taken is not suspended but remains in effect unless otherwise ordered by the court. An appeal may be taken from the judgment of the court on the same terms and conditions as an appeal is taken in civil actions. (e) IC 4-21.5 does not apply to a proceeding under this chapter. As added by P.L.230-2007, SEC.24. Sec. 107. Extortionate Extensions of Credit . (1) If it is the understanding of the creditor and the debtor at the time an extension of credit is made that delay in making repayment or failure to make repayment could result in the use of violence or other criminal means to cause harm to the person, reputation, or property of any person, the repayment of the extension of credit is unenforceable through civil judicial processes against the debtor. (2) If it is shown that an extension of credit was made at an annual rate exceeding forty-five percent (45%) calculated according to the actuarial method and that the creditor then had a reputation for the use or threat of use of violence or other criminal means to cause harm to the person, reputation, or property of any person to collect extensions of credit or to punish the nonrepayment thereof, there is prima facie evidence that the extension of credit was unenforceable under subsection (1). Knowing and abiding to the proper Indiana debt collection laws is important for both creditors and collection agencies alike. There are debtor’s rights attorneys who are just waiting for creditors or collection agencies to slip up. If you mistakenly violate the Indiana debt collection laws, you could create a liability for your business and even open yourself up to a expensive lawsuit. Please note: Indiana debt collection laws can change over time, and you need to consult with an attorney before you use this information.